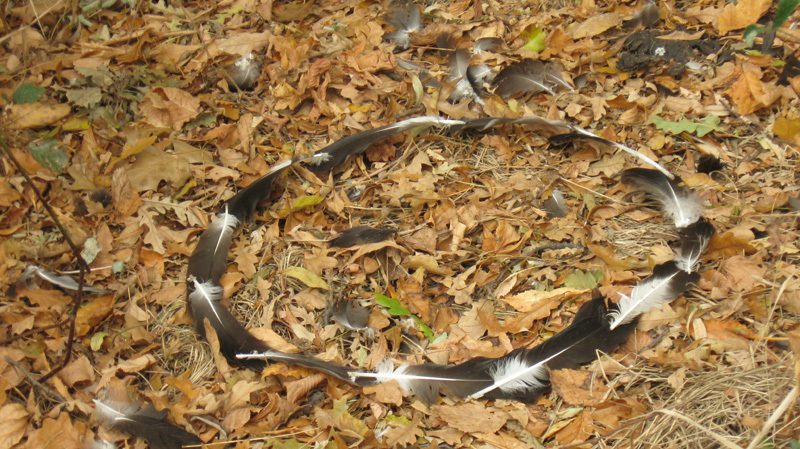 I’m still photographing any feathers I see fallen on the ground. 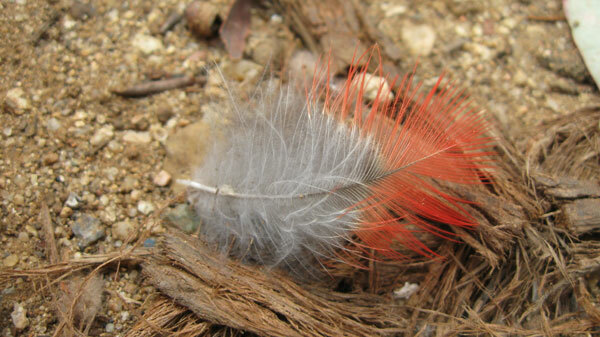 This one is from a Galah (a type of parrot). So why feathers? What’s that supposed to mean. The word ‘fallen’ says it all really. 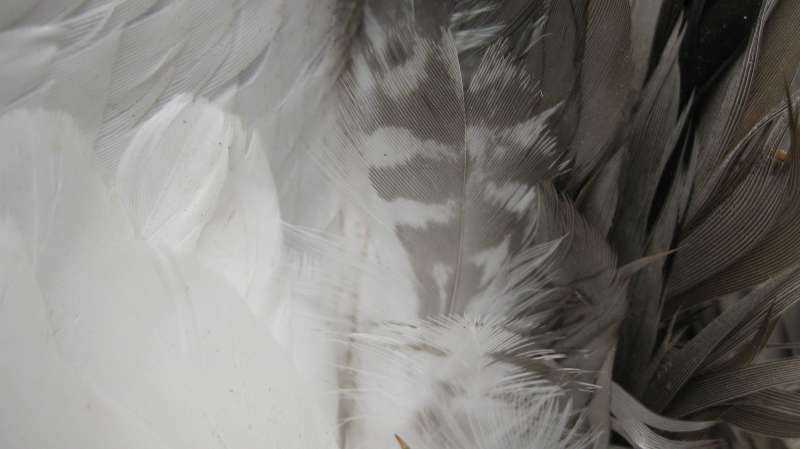 In a way feathers can have a related symbolism to bones, though perhaps not so immediately implying death. There is certainly a melancholy to a fallen feather though. The possibility of autonomous flight has fascinated people for ages – and such a powerful ability relies on these delicate fragile objects that occasionally fall to the ground, where they sit displaying their delicate beauty – until the next rain. A new semester started this week and to get things moving, part of the set drawing program is to do a drawing a day. Thought about doing this many times, but it can be tough on the self motivation skills to get the habit established – and I never have managed. So having it a set part of the course will be great because I will do it. I don’t plan to put them all up here but here is yesterdays. 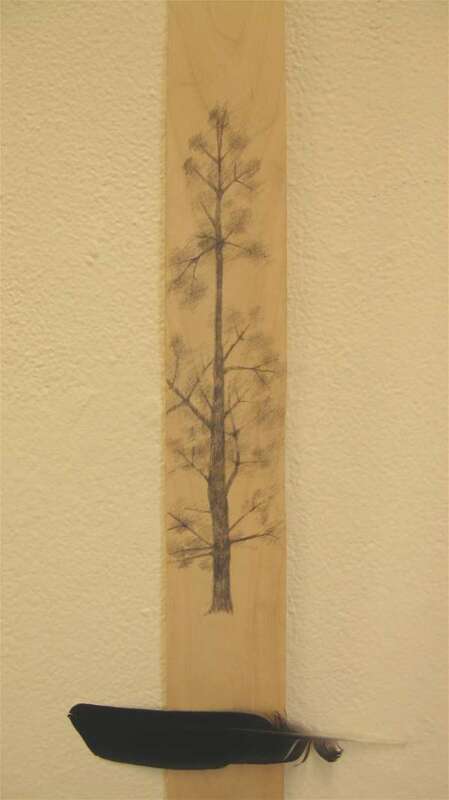 Graphite pencil on pine veneer, and a feather. 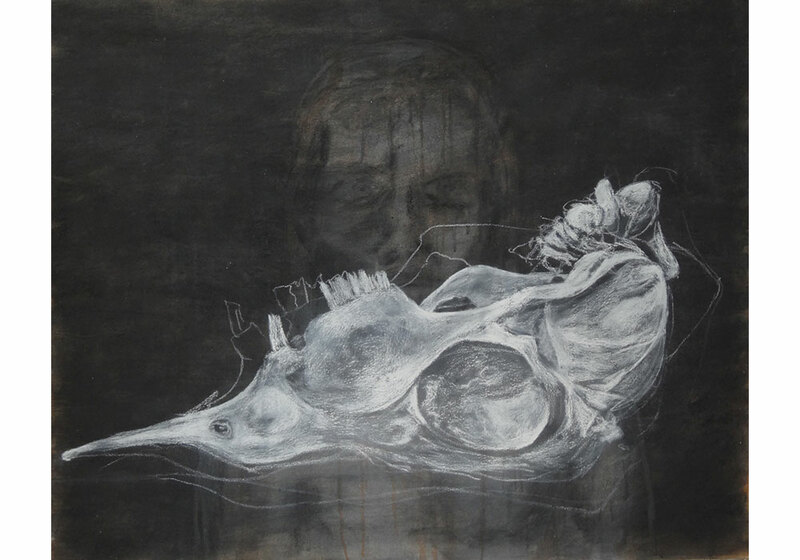 A simple little drawing, but I found it rather interesting the way in which it developed. Found a strip of pine veneer during a workshop tidy up. I rather like bits of wood so I claimed it. At the same time I noticed a feather on the floor – quite how it came to be there I don’t know. 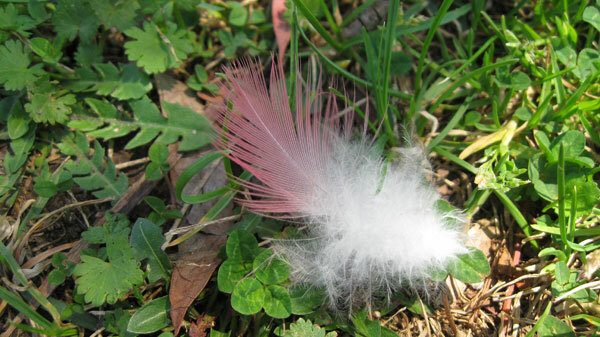 The last couple of months whenever I see a feather on the ground I photograph it, and I’m on the lookout for them now. Usually I leave them there but this one I picked up. So then I was playing around arranging the black feather and the light strip of wood spatially on the wall and this is the arrangement I settled on – for no conscious reason. Then I came to thinking about the days drawing and it seemed obvious to do it on the pine veneer, and of course the obvious thing to draw on it was a pine tree – both because of the material and because it has been a subject I have been using lately and there were photos and prints of pines right there on my desk to refer to. 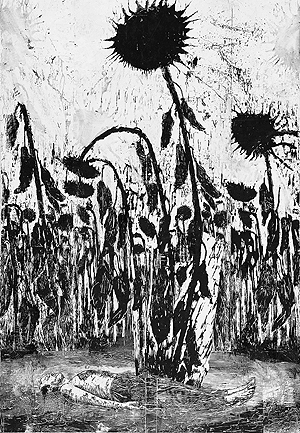 Now what I find interesting is that having completed the drawing in this seemingly playful, ad hoc sort of way, I realised its relationships to works by Anselm Kiefer that I have looked at before and which turned up in a theory class the day before. This is the image shown to me this week, but there is another one that I can’t find at the moment where instead of giant sunflowers, withering and bent but full of dark ripe seed, seeming to grow from the prostrate man, there is a young pine tree. Time I got off here and did todays drawing.